It's a cuisine that's been molded by persecution, heartbreak and centuries of Silk Road migration. Now it's finding a new home in the U.S. The test of any great Uyghur cook is to make a perfect, uninterrupted loop of noodle using only a ball of flour, water and their two hands. It’s a process that announces itself with a thwack and a tap tap tap — the sound of that ball becoming a circle, then a figure-eight and back again, over and over, until the threads start to multiply in their hands like a fast illusion. This is the heart of laghman, which is perhaps the most iconic dish in the Uyghur Muslim culinary tradition: a nest of the thick, chewy (singular!) noodle topped with a stir-fry of meat, vegetables and simple seasonings like cumin and white pepper, with a dash of chili flakes for color and heat. The elemental combination of flour and water has always been an important one in Northern China, where wheat surpasses rice as the staple grain. 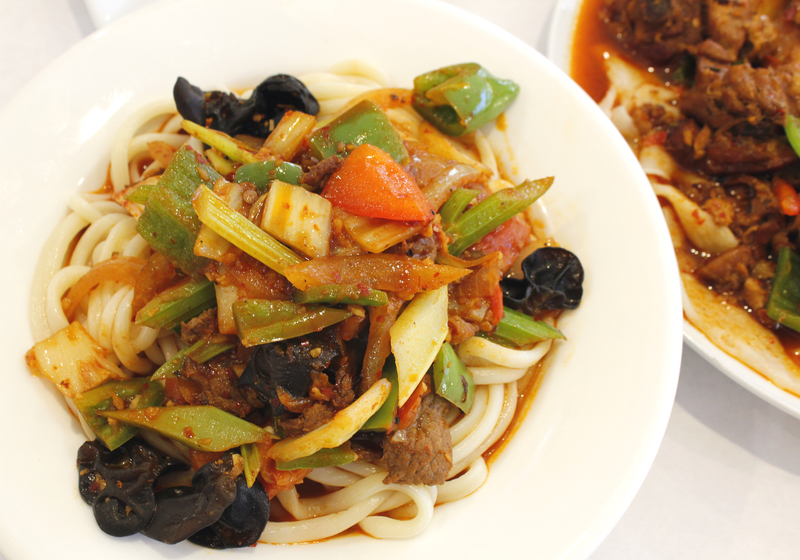 But while the hand-stretching technique might be similar, Uyghur laghman stands apart from Chinese noodle tradition, much like the history of the people itself. 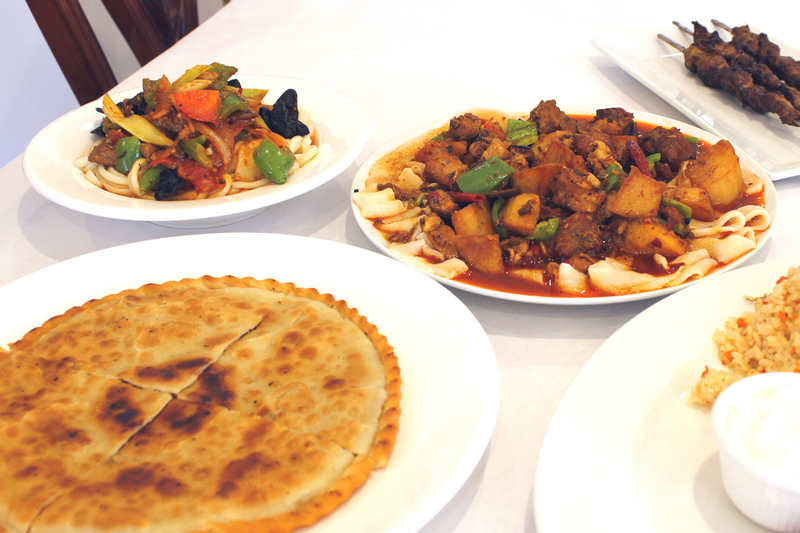 At Dolan’s Uyghur Cuisine, a restaurant that opened in January along a busy boulevard in Alhambra, a suburban community east of Downtown L.A. with a heavily Asian population, my eyes can’t stop jumping from one gorgeous sight to the next. There are the technicolor lamps that dangle like glowing jewels over the center of the dining room, the tapestry of Uyghur musicians on a nearby wall and the joyous folk dancing featured on a mounted TV. Then I hear that thwack, tap tap tap from the kitchen, and I’m compelled to walk over to watch as Arkin, a middle-aged chef with a thin smile and neatly trimmed hair, stretches the last loop of noodle by spreading his arms in front of him. “There are a lot of noodles, but there’s only one Uyghur laghman,” says Bughra Arkin, the 28-year-old owner of Dolan’s. Arkin came to L.A. in 2015, leaving behind his hometown of Ürümqi in the far northwest of China. Referred to as “East Turkestan” by many Uyghurs but officially dubbed the Xinjiang Uyghur Autonomous Region, this territory was key in ancient times because the Silk Road trade route winded through it. It’s also the homeland of many Uyghur people, a Turkic ethnic group that originates in Central and Eastern Asia. About 10 million Uyghurs live in Xinjiang, and most of them practice Sunni Islam. Uyghurs aren’t well represented in the U.S. — current estimates put the community at just a few thousand, according to the Uyghur American Association, with much of the population clustered near Washington D.C. and around California. Their roots run deepest in Xinjiang, a stark and beautiful land bordered by a belt of monolithic mountains and renowned for its natural resources. In the last decade, it has seen riots and fearsome policing alike, with the Chinese government claiming that Xinjiang is a hotbed of anti-Chinese terrorist activity. Human rights experts, meanwhile, have warned that crackdowns are justified more by the Communist Party’s problems with cultural independence in an area primed for new commercial and industrial development. The pressure has motivated some Uyghurs to leave their homeland, and many men who depart from China end up in the U.S. alone. Part of the struggle, as with all immigrants, is trying to navigate the choppy waters of a new society. But an added challenge for Uyghur immigrants is the lack of a large community here, as well as the paranoia that their flight from China has aroused suspicions from the government. The political volatility has left many Uyghurs in the U.S. with no way to contact their loved ones at home without risking retribution. Sometimes, the threat follows them here, too. Laghman is a favorite of all Uyghurs, Arkin tells me, and Pattar Dilmurat is no exception. 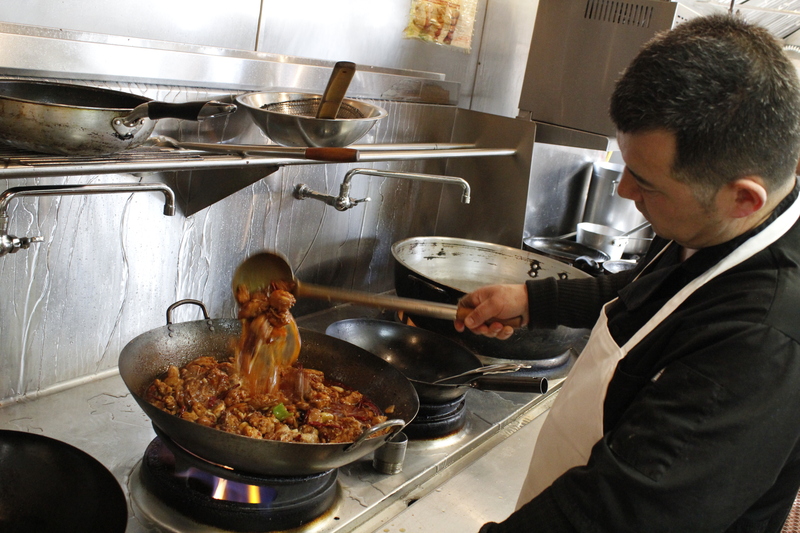 The 35-year-old owner of Sama Uyghur Cuisine in Union City, just across the bay from San Francisco, says that he’s loved the noodle dish since he was a child. This isn’t special occasion food, but the kind of affordable, filling sustenance that he remembers eating all the time in Xinjiang. Dilmurat was born and raised in Turpan, a city in Xinjiang famous for its fertile lands and history as a Silk Road trading center. He moved to Ürümqi to study environmental science in college, but it never became a career. In 2007, he ended up moving to Beijing and worked at a hotel. It was here that he met his wife, a Uyghur woman, whom he married in 2008. Over the next seven years, Dilmurat and his wife had two kids and moved to Dubai with the hope of building a more prosperous business selling skincare products. Yet Dilmurat’s attention was pulled to the U.S., where he envisioned going back to school and raising his son and daughter in “a truly multicultural place.” In 2015, he secured a visa to go to San Francisco, and promised his wife that he would arrange for their arrival soon thereafter. He juggled classes at Ohlone College with a part-time job at the one Uyghur restaurant in the Bay, Eden Silk Road, where he saw what it was like to run a small business firsthand. As time passed, Dilmurat spent less time in class and more time at the restaurant — one cost money, while the other paid it. Dilmurat is tentative when I ask him about the politics back home, but he knows his situation isn’t unique. Many Uyghur people cannot — and will not — contact their family in Xinjiang, worried that doing so will lead to repercussions. In turn, leaving Xinjiang legally is almost an impossibility today, as there are reports of Uyghurs having their passports taken away en masse. In the U.S., the loneliness for Uyghurs comes from missing their community and being so far from home, but even within China, the sensation of prejudice exists as a constant, low-watt hum. When I ask Dilmurat about this, he pauses before answering. “If you’re Uyghur, you will feel it in every corner of China — in our homeland Xinjiang, Shanghai, wherever. You will feel it,” he says, slowly. It’s a similar story with Amat, who first moved to L.A. and worked odd jobs before getting an invitation, through friends of friends, to work at Eden Silk Road. He still remembers how, as a young kid, he watched his father work his street kebab cart in Tianjin, in Northeastern China, where Amat grew up. Booming business at the cart meant Amat’s family could save up to open a brick-and-mortar restaurant, and his father’s influence stretches over the Pacific Ocean to Sama Uyghur Cuisine, too. Before the restaurant opened, Amat badgered him for two months for recipes, including for the fiery Uyghur specialty da pan ji, which melds juicy hunks of chicken, potatoes and peppers in a broth with 22 spices and a fistful of ruddy chilis. “I’m a chef today because of him,” he says in his lilting, accented English. Still, it’s been two years since Amat last spoke with his father or the rest of his family. They deleted his contact information, he tells me, and doesn’t elaborate why, though the implication is obvious. I ask him if he can picture returning to China one day. Unlike many Uyghur immigrants, Arkin was able to return to China in 2017 during a break at USC, with plans to help his father with a project for his company. What he discovered when he arrived was ominous. The State Department reports that at least one million Muslim minorities, primarily Uyghur people, are now incarcerated in camps in Xinjiang, where they face political indoctrination and psychological and physical torture without due process. Records from the Chinese government show that a staggering 21 percent of the nation’s total arrests in 2017 happened in Xinjiang, despite the population there only comprising 1.5 percent of the national figure. Human rights experts suggest the vast majority of those arrests are of Uyghur people. The Communist Party head of Xinjiang, the Uyghur politician Shohrat Zakir, has vehemently denied the alleged abuses of the camp detainees, instead portraying the facilities as a sort of “boarding school” to weed out Islamic terrorism. Various accounts from the Uyghur men and women who end up in the camps, however, suggest that the camps are designed to punish people for spreading Uyghur culture, even with acts as innocuous as praying in public. Kai immigrated here as a 13-year-old, leaving Xinjiang and saying goodbye to his father, who flew with him but returned to China after giving him one last embrace at the airport. (He works at Dolan full time alongside his uncle, who opened the restaurant in late 2016.) One silver lining is that he still has contact with his mother, but the pressure to obfuscate their Uyghur identity has warped even their most essential interactions. Case in point: On video chats, they no longer say the words “assalamu alaikum” — the ubiquitous Muslim greeting — to each other. Updates on the conditions in Xinjiang also remain off-limits. “I’m just worried about them all the time. You know, I feel okay here. But if I had a choice, I’d rather go back. I don’t want to stay in America,” he says. The sharing of food isn’t inherently a political act, but the proliferation of Uyghur restaurants that serve the community’s food is a critical step toward broader attention, says Ilshat Hassan, president of the Uyghur American Association. 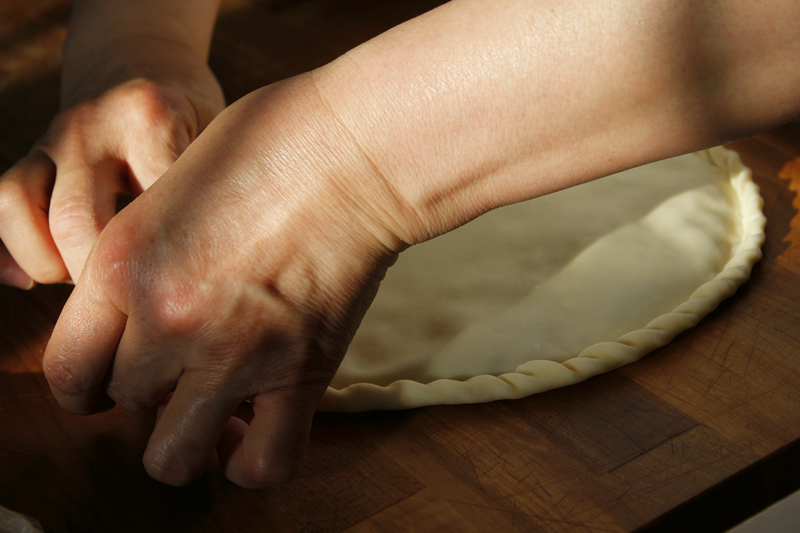 Hassan works closely with the Uyghur community around D.C., and food always plays a starring role in their gatherings. Dining together is therapeutic for adults and an education for Uyghur kids, who lack the spaces in the U.S. to engage with their traditional culture, he says. Hassan notes how the Chinese government is pushing anti-Islam lessons on Uyghur people in detainment camps, even forcing some to eat pork, which is forbidden in Muslim culture. 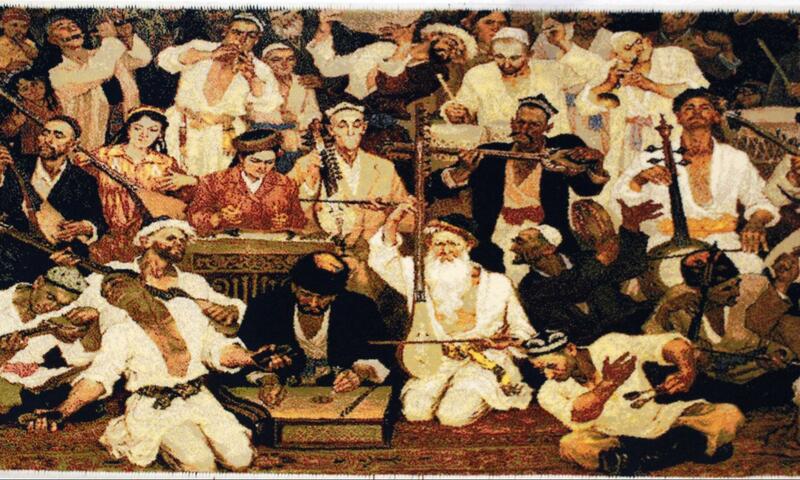 A print of Uyghur painter Ghazi Ehmet’s “Muqam,” one of the most popular artworks in Xinjiang, hangs in Dolan’s. The Uyghur community around him is Hassan’s only connection to home in Xinjiang at this point. Originally a professor of chemical engineering, Hassan faced problems in China for his vocal opposition to the cutting of Uyghur-language programs at his university and his work as a Uyghur activist. In 2003, a friend in the police force warned Hassan that his name had been added to a government blacklist, which could lead to more arrests, incarceration and a possible “disappearing.” He left his then-wife and son behind that year, crossing into Malaysia (which doesn’t require a visa) before applying for political asylum. He moved to the U.S. in 2006, and has maintained his activism despite receiving threatening calls from strange Chinese individuals. He believes his phone has been tapped multiple times. Over the years, Hassan helped his son secure safe passage out of China and eventually remarried in 2014 after watching his long-distance relationship fall apart. He never had the chance to say goodbye to his brother in 2003 — Hassan found out in November 2004 that he was killed by a mob in a restaurant. More recently, in 2014, his sister was arrested in her home without warning. Hassan believes the stress of the incident led to his father’s death the following year. That was the last time he spoke to his mother. She told Hassan that they had suffered enough, and that he should take care of himself but not call again. Once in a while, he dials her number anyway, just in case, but he hasn’t heard her voice since 2015. Hassan chokes up as he describes it. Having a wife and a young child with him in the U.S. doesn’t quell the pain of losing his parents. “I can talk about this, but it’s hard to sleep and hard to work, many times. I think about my mother. I dream of her all the time,” he tells me. This is the complicated duality of the Uyghur experience in America — all are grateful they were able to rebuild their lives, yet the privilege of doing so has left so many Uyghur men feeling a deep, existential loneliness. I’m not, however, really thinking of these silver linings while sitting at home, eating the leftover laghman that I got from Dolan’s in Alhambra. Instead, it’s the last thing that Amat, the young chef at Sama Uyghur Cuisine in the Bay Area, told me before we ended our conversation. I asked him whether he had any final thoughts on the Uyghur experience in America, and I could hear him think on the other side of the line.